Ever wish you could order food from the comfort of your car? 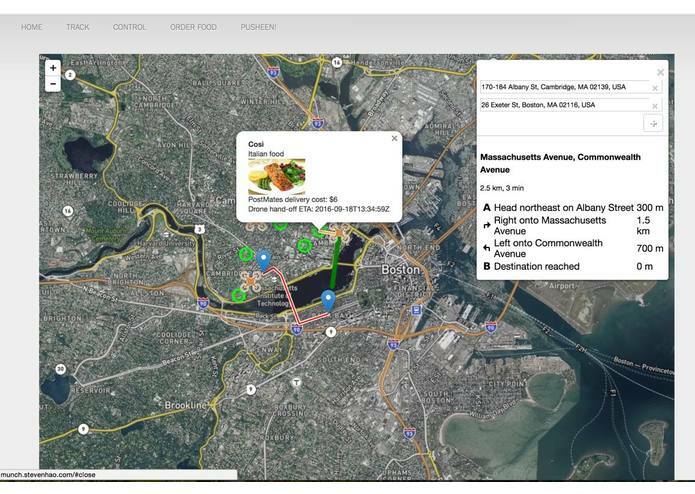 Game of Drones provides advanced route planning algorithms for drones to deliver food to moving vehicles using real time OpenStreetMaps data and PostMates fee estimates. 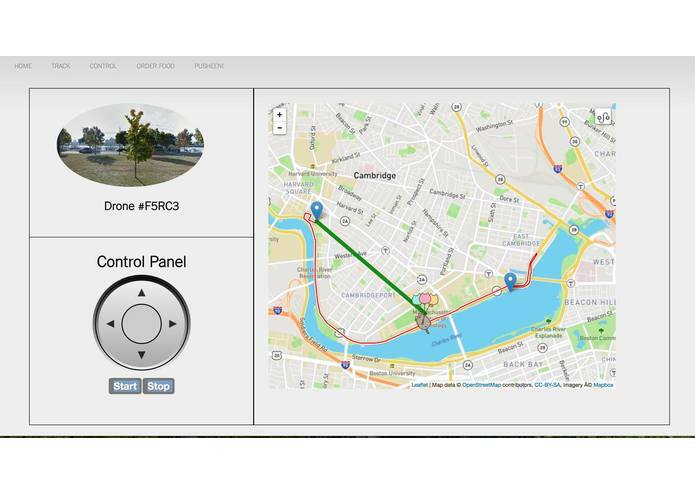 Game of Drones also provides an enterprise-side drone control and management tool. Drones once dispatched can be tracked by customers in real-time on the same app. Customers are shown street view feeds from the GPS co-ordinates of the drone.